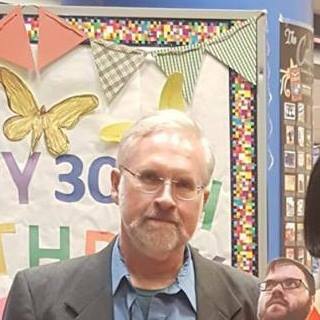 The Information & Business Center at the Huntsville-Madison County Public Library is the area formerly known as the Reference Department. 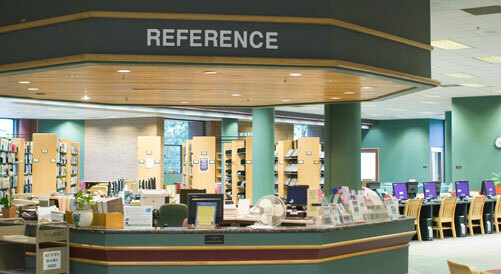 The reference desk (pictured) remains the hub of activity for patrons seeking assistance with the library's diverse set of resources and services including general reference questions, non-fiction reference books, current and past magazines, interlibrary loan, exam proctoring and 'Book a Librarian' appointments. Ask Us in an online application that enables patrons to submit questions online at http://answers.hmcpl.org. Want to talk to a person? Call 256-532-5975 or visit us on the second floor of the Downtown Huntsville branch. Reference staff are available to consult for more in-depth questions by appointment at 256-532-5975. Machinery on the fritz? No quiet or space at home? Come to us for all of your business needs. 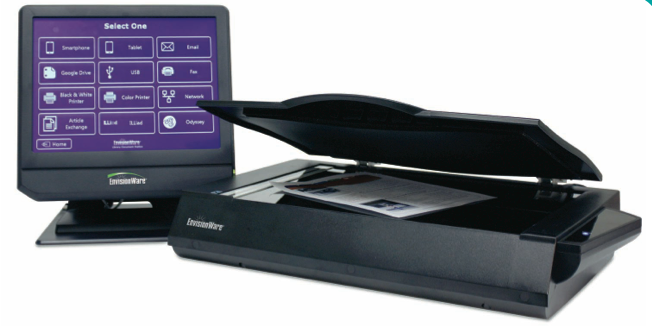 We provide public computers, copying, faxing, notary, mobile printing, and other services for our business minded patrons. We sell envelopes and resume paper. Need a computer? The library offers free public computers. You can find them in the Business Center on the second floor. 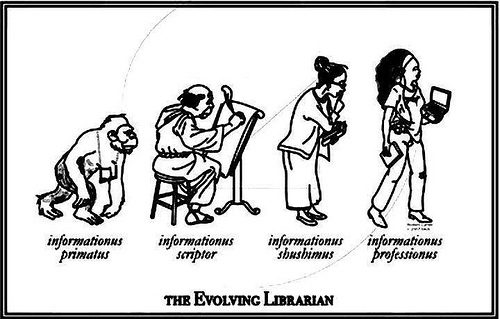 You will need your library card and PIN number to log in. Not from the area? We can issue a PC user card to get you logged on. Have a laptop? We have free WIFI access. Need an exam proctored for work or school? We provide proctored exams by appointment. 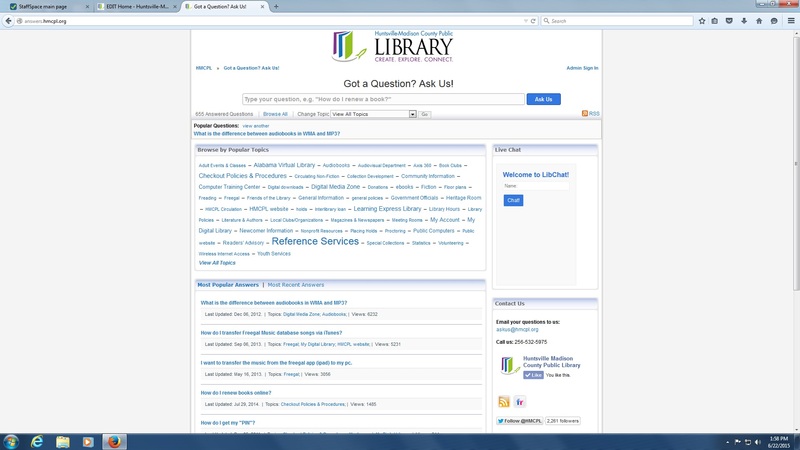 The library is able to proctor online and written exams. For more information stop by the information desk, call us at 256-532-5975 or go to http://hmcpl.org/policies/proctoring. 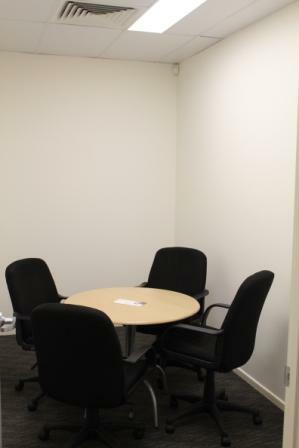 The second floor Information & Business Center area contains meeting rooms ranging from small study rooms holding up to three people to larger conference rooms holding 10-15 people. These rooms are free of charge. Reservations can be made online at http://hmcpl.org/reserve.